A one sentence act “[A]ll non-citizen Indians born within the territorial limits of the United States be, and they are hereby declared to be citizens of the United States,” made all American Indians citizens of the United States. Most Native Americans considered this Act to be long overdue. 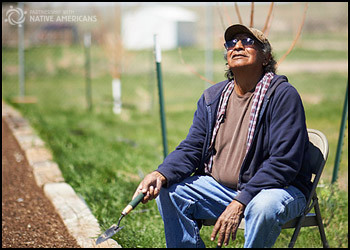 Throughout history, a few treaties offered Native Americans citizenship options. However, in many cases, individuals were forced to choose between staying with their tribes and being removed to the west or remaining behind in the old lands and accepting citizenship and a small allotment of land. The Dawes Act of 1887 conferred citizenship to those who received land allotments after they held in trust for 25 years. Some Native Americans, like the Cherokee, became citizens when their state was admitted to the Union. Another act in 1888 declared that Indian women who married U.S. citizens would be given citizenship. In 1924, when the Citizenship Act was passed almost one-third of the Indian people in the United States were still not considered citizens.